Big surprise last night as Telstra, Australia’s largest telco, made an outright purchase of a smaller rival. The reaction has been swift, with Internode already offering a cheeky promotion clearly designed in direct response to the deal. Call us now on 1300 106 571 for more details or to sign up for Internode! Adam Internet was one of the last big independent ISPs, owned by the Hicks family and offering big value plans to 80,000 customers around South Australia. Adam’s fibre-access network around the state rivaled that of Internode’s, their larger SA-based rival. As for Telstra, the firm has been effectively banned from acquisitions since deregulation, to boost competition. Communications Minister Stephen Conroy blessed the union this morning, suggesting that as Telstra is being forced to evolve from a quasi-monopoly to merely a large retailer, the government is playing fair by allowing for the usual ebb and flow of M&A. Internode, which has been part of the iiNet group since Christmas 2011, has responded immediately by offering an ‘Eve’ promotion. On Easy Broadband bundles 200GB and above, you can now get a free connection (saving $79) and the first three months of the internet portion of your bundle, free of charge. The promotion is open to customers in SA only, who fall within Internode’s network footprint. The 200GB Bundle is normally $79.90, and includes 200GB data (anytime) and a standard Node Phone service, which includes cheap call rates for those who use the phone service (the line is a mandatory component of the connection). The internet ‘portion’ of this plan is $50, so you’d save $150 for the first three months, plus the $79 connection fee. But apart from saving you $229, the Eve promotion makes signing up to Internode quite a bit easier. Normally customers have to pay the first two months free, plus a connection fee. That would normally be $240. Now the barrier to entry is $60. Put simply, no-one does customer service and support better. All staff are highly trained, based in Australia and can answer both billing and technical enquiries. In the latest Roy Morgan survey results for customer satisfaction, Internode retained the top spot it has enjoyed for the last decade, as the Home Internet Service Provider of the year. 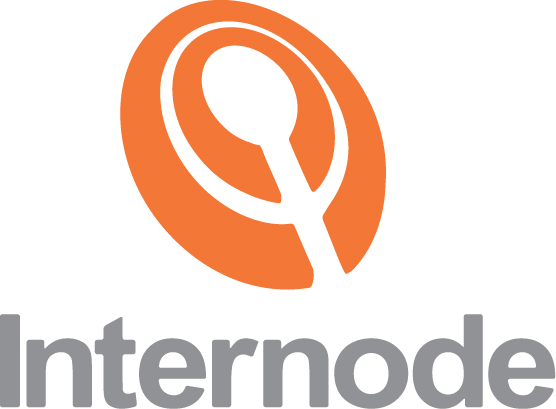 If you’ve ever wondered why dealing with telecommunications provider needs to be so painful, Internode has consistently been the one firm providing an alternative. Few companies do Naked DSL with as much enthusiasm as Internode – in fact, Internode founder Simon Hackett was pretty much the man who drove the ACCC crazy, demanding that Telstra make this available to wholesale customers. We don’t normally recommend Naked DSL. It’s often the same price as a bundle (or more), takes longer to set up and provides no clear benefit. It’s still a connection that uses a live telephone line as the means of transmission – it just kills the phone service. That’s good if you can’t resist the urge to make calls and rack up charges, but most people would be just as well off with a bundle and not plug in a telephone handset. That said, Internode has been running a promotion for a while now, in which customers on the entry-level $60 Easy Naked plan have their data boosted to 150GB- making it one of the few Naked plans that offers better value than its Bundled counterpart. Internode does offer a 1-month contract, to appeal to customers with short leases or who just prefer as much freedom as they can get! But this attracts a steep setup fee of $129, and no discount. For customers who want to take advantage of Internode’s superior customer service without hitching on for 2 years, there is at least an option. Internode take their hardware very, very seriously. As such, they don’t offer cheap and cheerful modems for free with signups- but they do offer a rental option. Customers on a 24 month contract can rent a full-featured Fritz! Box Moderm/Wireless Router for as little as $10 a month. Follow the Signup Online link at this page, or give us a call on 1300 106 571.